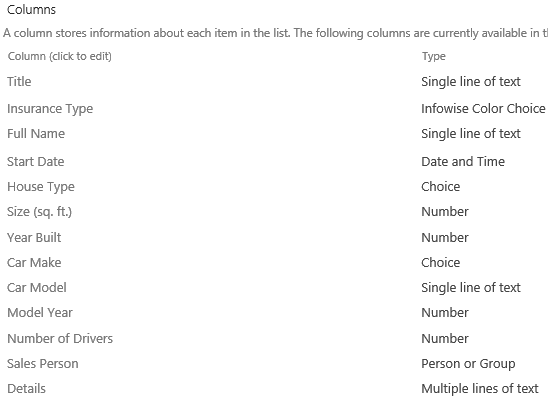 I want to show you a simple application of our Smart List Pro dynamic permissions capability. We are going to build an insurance list, which can be used for both home and car insurance. Now all of you that own a house and drive a vehicle probably know that each of the above insurances has unique information which is completely irrelevant to the other, but they both do have some common data. 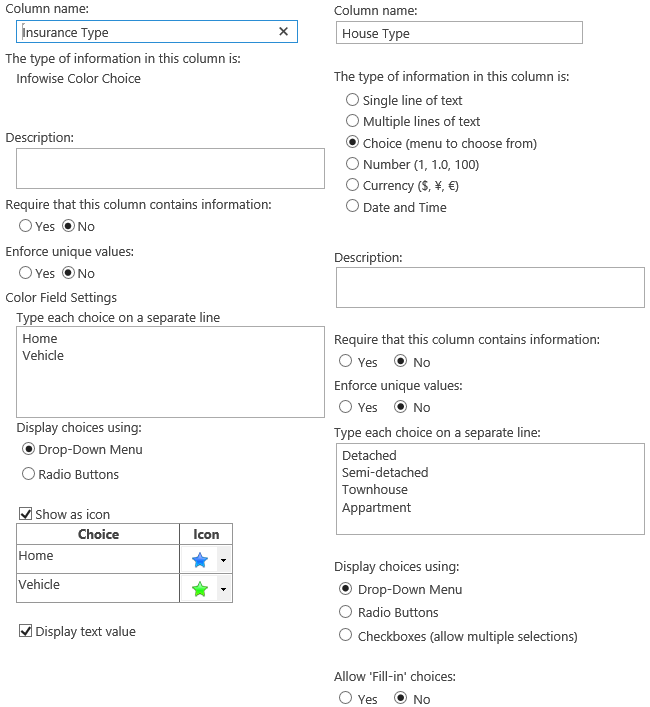 For insurance type column I used the Infowise Color field, but a regular choice column would do as well. 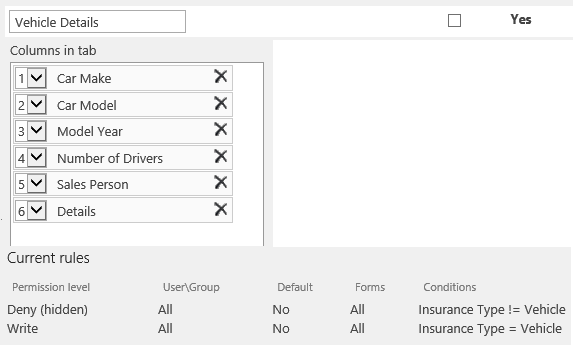 Note that the Main Details tab doesn't have Permissions, as it is opened by default and contains the common information of the insurances. 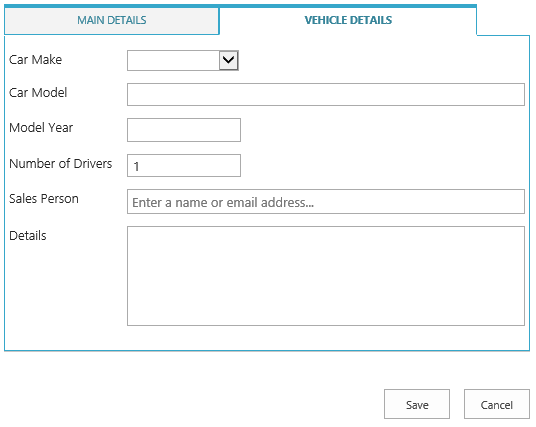 Vehicle details tab has a similar set of permission rules for Vehicle as the selected value. 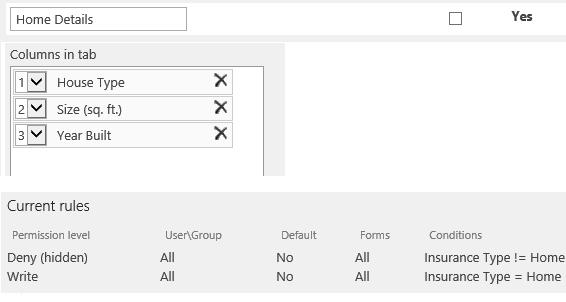 all this process is executed dynamically without the page being reloaded or redirected. Thank you for reading and keep enjoying our products!